Most iPad users are happy to interact with the screen using their fingers. However, in certain situations, some would prefer the feel of a stylus over that of a finger tip. The problem for iPad stylus makers is that, because of how a capacitative screen works, it is not possible to make a detectable pointer with a finely tipped end. 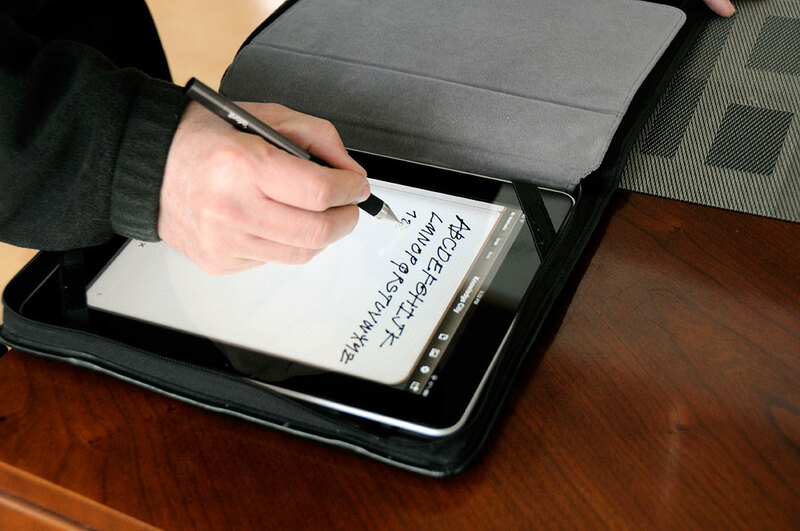 This is the reason why all styli on the market looked like they have an eraser for a tip…until the Adonit Jot. Adonit didn’t rewrite the laws of physics. They did something much more clever. They changed the user’s perception. 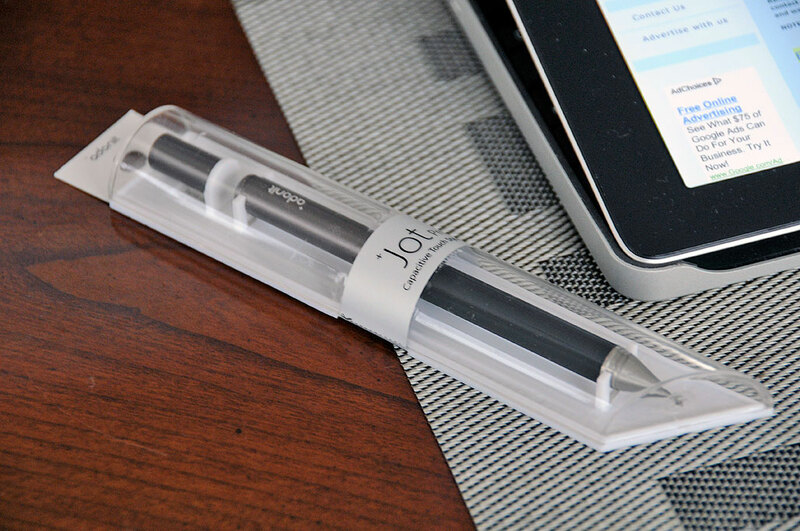 The designer of the Jot used a clear conductive disc to give the user the impression of writing with a pointed stylus. Brilliant! The transparent disc is attached using a ball-joint mechanism which allows the stylus to be held at an angle most comfortable for the user. A cap protects the tip when the stylus is not in use. Aluminum and steel construction gives the pen a luxury feel. The rubber grip makes it comfortable to hold. Our initial impression is this is a very well thought-out product. The question is will the tip hold up with use. Lee, our stylus tester, will put the Jot through the wringer over the next few weeks to see if it holds up to expectations. Look for it in the Spring.